THINK ON THIS: Do You Financially Give Back to Your Alma Mater? Posted By:Unknown | At:8:40 AM Be the first to comment! Historical Black College and University, Grambling State University, has dominated the news as of late because of its football players boycott. Grambling players, incensed over the firing of head coach Doug Williams, their perceived lack of respect from university officials, long bus rides to games as far away as Indianapolis and poor facilities, banded together and decided not to play this week’s game, which happened to be Jackson State University's homecoming. Dr. Frank Pogue, the president of Grambling State, was on the Tom Joyner Morning Show this morning to discuss the boycott. One of the things that Dr. Pogue felt was a contributing factor to what was going as far some of the grievances that some of the football players expressed is the lack of funding. Dr. Pogue stated that a significant amount of state funding was slashed by Louisiana governor Bobby Jindal and that left the school with some tough choices to make. Those choices resulted in the cutting of the athletics program's budget. Dr. Pogue then went on to ask people who love Grambling State University to write a check. It was this request for money that got me to thinking. 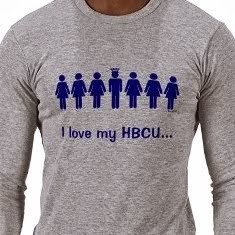 The lack of giving back seems to be a common occurence when it comes to HBCUs. There are many successful people who have attended an HBCU, but if you look at the percentage of those people who give back to their alma mater the numbers are quite startling. Some studies have the percentage of alumni give back at 5-10%. So my questions is: Do you give back to your college alma mater? If not, what is your reason?